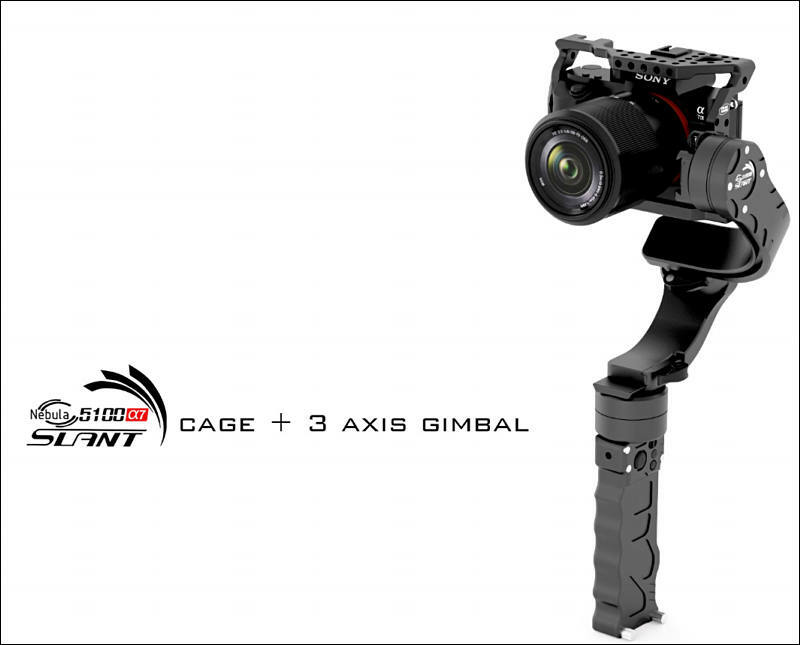 Last year, Filmpower released a stabilizer called Nebula 5100 Slant that brought out the new structure concept of the 3-axis single handheld gimbal. This model is known for it’s unblocking screen design and impressive payload that can support many large cameras weighing up to 3.2kg such as the Canon C100, Canon 1dx, Nikon D810 and even Sony FS5. Now they are going to release a new special version of this hot model: Nebula 5100 a7. Just as its name implies, the Nebula 5100 a7 is specially designed for the Sony a7 Series. By using the a7 cage instead of the tactical cage, this version of the Nebula 5100 Slant is only compatible with the Sony a7r2, a7r3, a7s2, a7m3 and more Sony a7 Series. And the meaning of this change is not only making the single handheld gimbal more and more compact but also making the stability more reliable. Another thing is usually there are 4 or 5 points we need to balance before we shooting, the gravity center, the Pitch point, the Roll point and the Yaw point. By the help of the a7 cage, now users don’t have to adjust the gravity center. Speaking about the new a7 cage, it’s integrated from top grade, high tensile aluminium. There are 41 of 1/4" screw holes and 4 of 3/8" threads for adding other accessories onto your camera. Beside the no screen blocking design, Nebula 5100 a7 keeps most of the great features from the Nebula 5100 Slant, such as the all-metal body design, the energy saving encoder, the 8-10 hours’ long battery life, the 360° rotation, manual focus adjustment and the useful functions: one key midpoint returning, time-lapse, roll follow mode... Also, the Nebula 5100 a7 supports the exclusive accessory, expansion packs, making it becomes a dual-handle gimbal . The Nebula 5100 a7 is in pre-sale now with a price of $699, still I have no doubt that this refinement of the Nebula Series is just a start, we’ll keep you updated detail as well as it comes in.